As a wholesaler, our success depends on your success as a retailer. 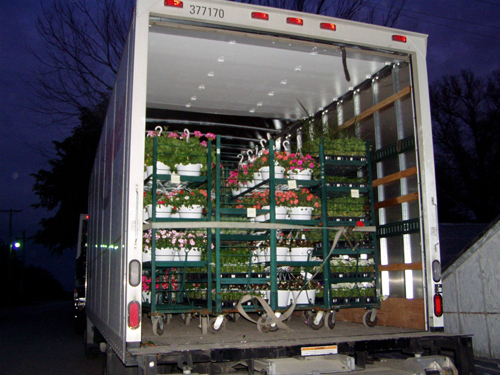 Our number one goal is to provide you with the best quality and varieties of plants that your consumers could ask for. Our years of experience have taught us the intricacies of what wholesale buyers are looking for. On-time shipments, variety, and high quality products are just some of the ingredients that we pride ourselves on when it comes to wholesale relations. Our wholesale shipping seasons for spring and all crops run from March-May and then again in August-Early October. 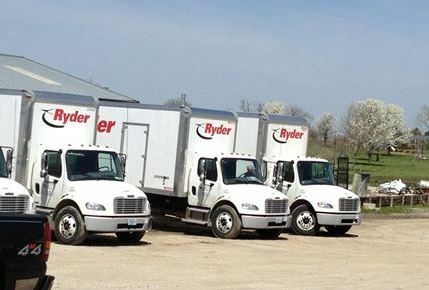 We ship plants weekly within the states of Missouri, Iowa and Kansas with periodic deliveries also into Nebraska, Illinois, Minnesota and South Dakota. For questions about our products, growing practices or to place an order, contact our office. Our friendly sales staff will be glad to assist you! MINIMUM ORDER FOR DELIVERY: $700 within a 150 mile radius of Trenton, MO. If ordering outside the 150 mile radius, there is a $900 minimum; truck dispatching is based on other orders in the area. PICK-UP ORDERS: If you wish to pick-up your order from us, the minimum is $300. Please provide a 48 hour notice for all orders to be picked-up. DELIVERY: Orders must be received by 5:00 pm two days prior to your requested delivery date. For example, you must place an order before 5:00 pm on Monday for delivery on Wednesday. PAYMENT: Payment at the time of delivery is preferred. Major credit cards, with approval, are an acceptable form of payment. Invoices are due and payable 30 days from the invoice date. Any invoice not paid within 30 days is considered past due and a 2% finance charge will be applied. Any account 60 days or more past due, will be placed on C.O.D. Any check returned for insufficient funds will be subject to a $20 charge and the account will be placed on C.O.D. CREDIT TERMS: New customers will be on a “cash only” basis for six months or until credit is established. Please contact our accounting department if you have any questions regarding our credit policy. RETURNS: Please contact us within 72 hours of receiving any merchandise that is damaged or unacceptable. We will do our best to accommodate you with replacements as quickly as possible. All plant material must be returned too Barnes Greenhouses to receive credit. Looking for information to plan your next purchase? View Our Full Product List & Program Descriptions.